I thought this was just the cutest picture. 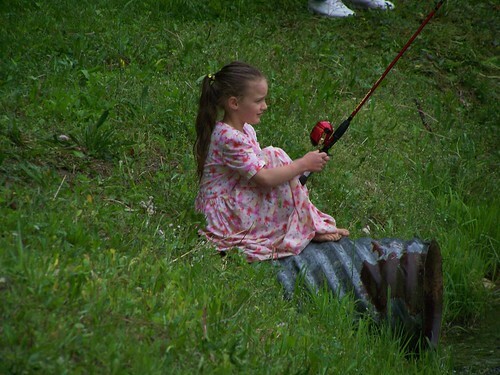 �This little girl was so intent on her fishing pole. �Look close you can see her little bare toes sticking out from under her dress. �You can also notice her hair is wet. �She sat on this drain pipe through a little shower we had. �She did not want to give up her spot. �I heard we had over 100 people there Saturday. I think they said about 300 lbs. of trout were caught. �The kids had a great time. �Lots of fun and fellowship. �Afterward, we went shopping for a few things. �Hubby needed to replenish some of his electrical supplies. �Yesterday was church, went into town to pick up some ink for the printer. �When we got home, I made some baked beans to take to Sunday Evening Class. �Then we worked some on our homework. � Sunday Night’s menu was pigs in the blanket, baked beans, chips and �homemade dip, a pasta dish, coleslaw. �For dessert peach pie, ice cream and a dessert that Becky makes that I forgot the name of. �(Happens as I get older) �Temperatures have been cool here with quite a lot of rain. 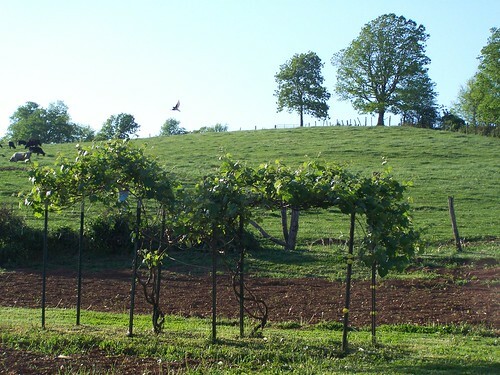 �We haven’t gotten all of our garden planted because it has just been too wet. �Hopefully this week we will get it finished. �I am, of course, washing clothes today. �Lots of clothes! �I guess they will have to be dried inside as it looks like the sun will not shine today. Tomorrow the girls and I are going down to Jessica’s to watch Daniel while she goes for an ultra sound. �Samuel is just about ready to be here. �Just a couple more weeks, maybe sooner. �Pray for a healthy and easy delivery for him and for her. �I better get busy. �Take care and God bless. An almost empty wood pile. �Remember how this looked last fall. �I would show you the picture but all my old pictures are still sleeping on my computer, which is “resting” for a while. 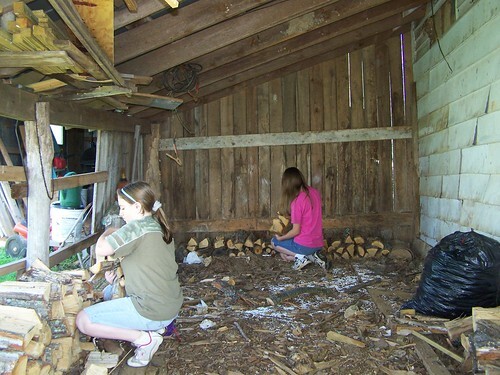 �Anyway, last fall this shed had 7 rows deep of wood and 2 rows on each side. �All gone. �We used almost all of the wood last winter. �Saturday, we all worked on the wood pile. �George and I used the splitter and the girls stacked it up. This is what the pile looked like. �We have about 1/3 of it split and stacked in the building-three rows deep. 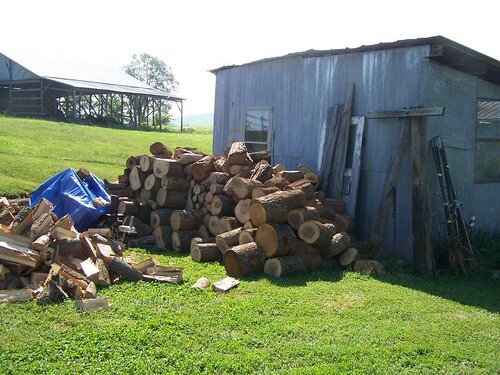 �We want to have more wood this winter than we had last winter. �Just in case, it is another hard winter. �It is better to be prepared. � I want to take a moment to complement my girls. �They worked very hard Saturday and did an excellent job stacking the wood. �Thank you, Julie and Grace. Another picture I know Jess will love. 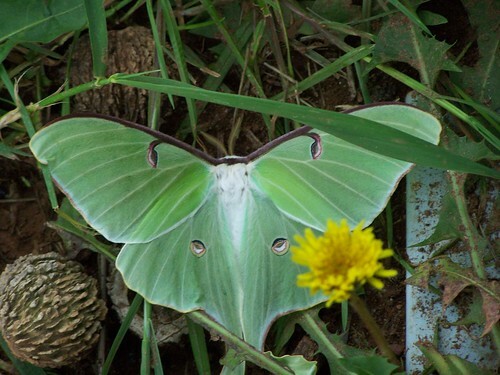 �The girls found this lunar moth on the building the other day. �Very pretty. �They enjoy finding pictures for me to use. �Rather chilly here today. �Upper 40’s for the temperature. Lots of rain. �We had a really hard rain last night while we were at church. �We do our Sunday night study in the basement. �Water started coming in through the basement door. �We had to stop our study and get busy-quick. �The outside drain could not handle all the water. �Thanks to mops, a shop vac, and a sump pump we finally got it all dried out. �I’m just glad it happened while we were there. �It would not have been fun to discover all that water on Wednesday night. �Imagine what damage it could have done. �God is good. �Of course, after all that hard work, the food tasted extra good. �Time for piano lessons. �Take care and God bless. 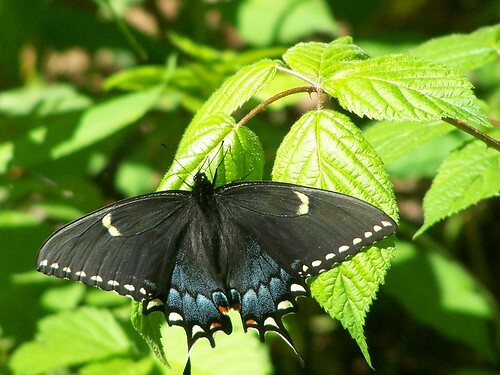 I took these pictures the other day when we were cutting wood.�� This butterfly is especially for Jess. This is the view from where we were cutting the wood. 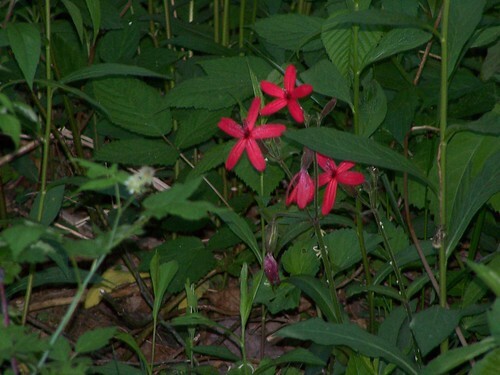 A picture of a fire pink.��There were lots of these blooming in the wooded area. There is a little trial you can walk that circles around.� This is the beginning of the wooded part of the trial. 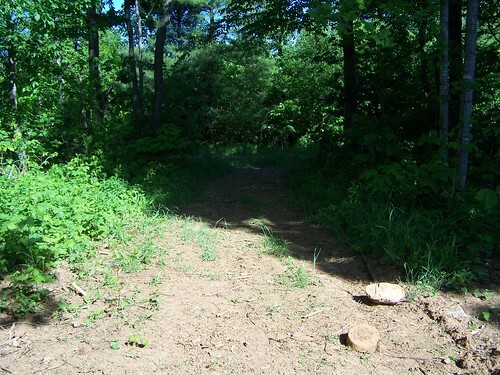 About 1 second after I took this picture, a squirrel came running down this trial straight toward me.� I was not fast enough with the camera to get a picture. �I am experiencing technical difficulties with my computer. �My technical support team (Dave) says it is my hard drive. �For now, I am using Hubby’s computer. �For all the people whose blog I read and comment on, �there may be a season of silence. �I have them on my computer in my favorites list and I do not know how to transfer them. �Dave will fix all this in due time. �I hope to learn how to post pictures on this computer. �Pray for me as you all know I am not very technical. �This is my fourth attempt to post this. �The pictures were already loaded from my old computer yesterday before it said goodbye. �Well, enough of all that. �Tonight’s menu at church will be hot dogs with homemade chili, slaw, chips, salad and some kind of dessert (unknown as of yet). �Lunch today was beef roast in the crock pot, potatoes cooked in butter, home canned green beans, and watermelon for dessert. �I guess I better get started on my study for tonight. �Take care and God bless. Learning how to follow in a line. They have grown so much. 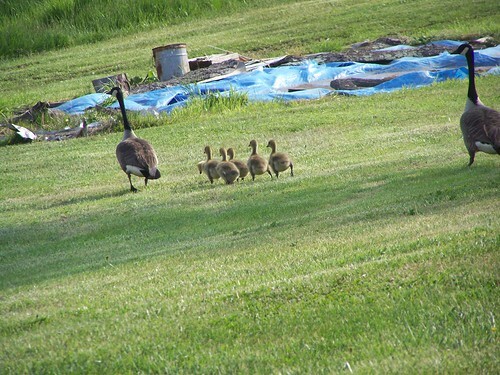 �I guess I didn’t realize how fast they would grow. �They wonder all around in the fields and even sometimes in the yard. �Very cute. We also have other new babies. 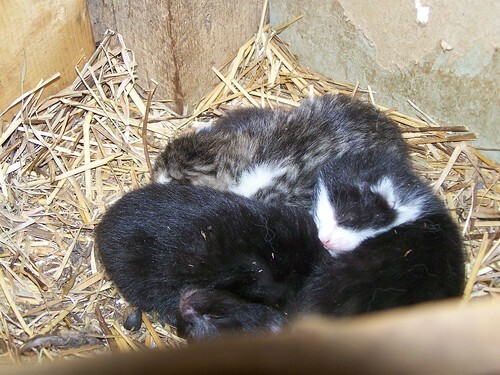 �The girls found these yesterday in one of our outbuildings. 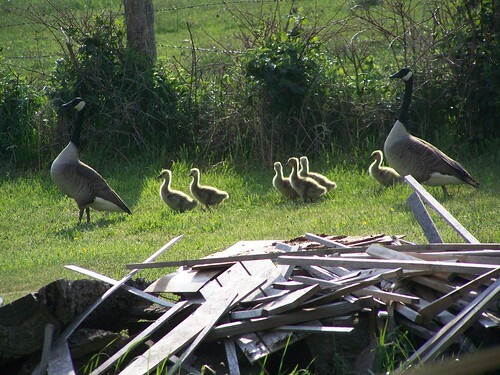 �I’m not sure who their momma is but they are very cute. Fog came in this morning. �If you look very closely you can see the geese on the pond. 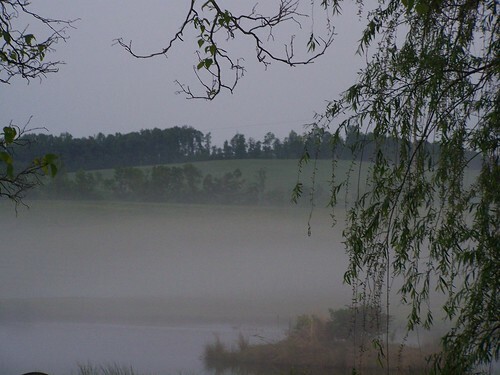 �Now you can’t even see the pond. �Very foggy. 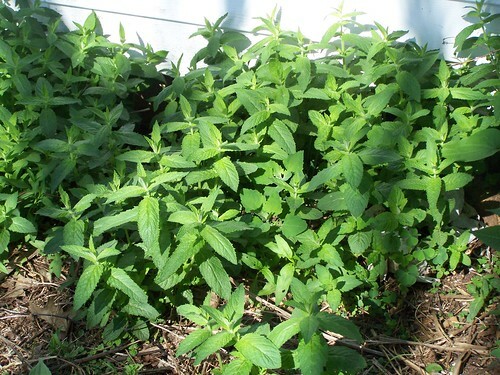 � Very dreary but good for the plants I put in the garden yesterday. �Yesterday was a very busy day. �When I was young, my mom would use the term “wash day”. �I understand this term better now. �On a wringer washer, doing lots of laundry �literally is a full day of work. �I filled up all my clotheslines twice. LOTS of laundry. 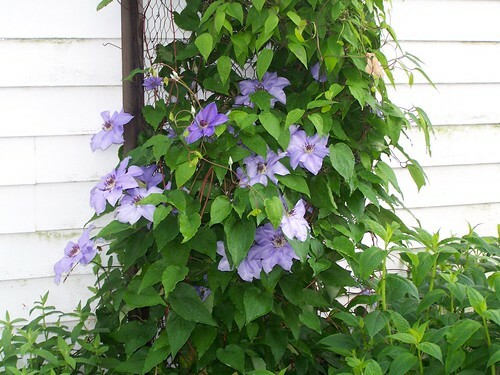 � Included in this full day, I also put all the vegetable plants we had purchased in the garden. 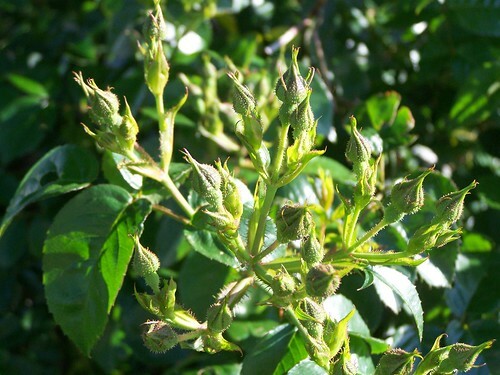 �Hopefully we are done with frost. � Last night was Team Kids at church. �Next Wednesday is party night as this will be the last week until fall. �Tomorrow we will finish up our Esther study by Beth Moore. �This has been a very good study. �I highly recommend it. �Our Ladies Friday Study will be doing I Corinthians by John MacArthur next. �After that, I want to do Beth Moore’s study on Revelation. � Is anyone familiar with it? �I have looked at it at Lifeway but I would like to get feedback from someone who has done it. �Our Corinthians study is 12 weeks so I have a while to decide. �Better get busy. �Take care and God bless. 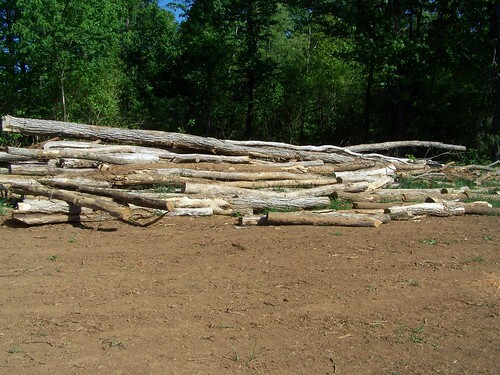 Here are a few pictures of the wood pile we have been working on. 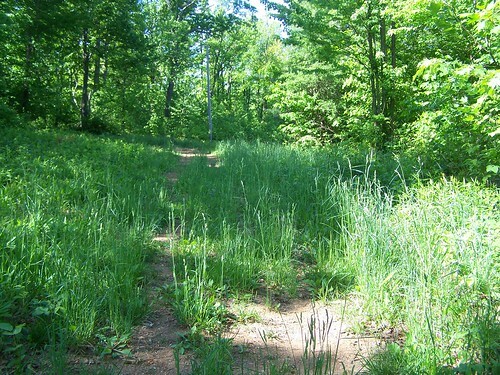 � During the past winter, Marvin decided to have some logging done here on the farm. �They wanted to clear out a new pasture land. 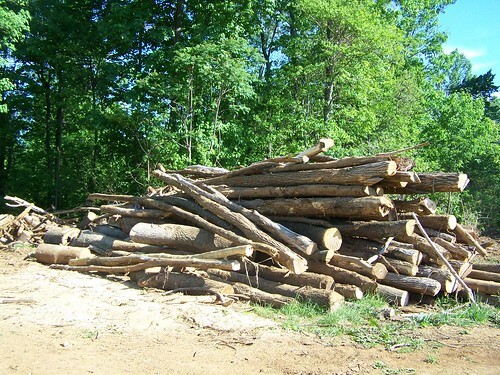 �After the logging crew was finished, they piled up all the unwanted wood. �The pile is smaller now than it was at first as several truck loads have already been removed. This picture shows better how tall the pile is. This is the pile of locust wood that has been moved to the side. 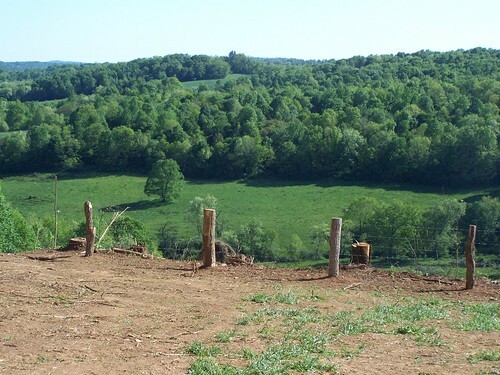 �Billy is using this as fence posts for the new pasture land. Hubby sharpening his chain saw. �This has to be done frequently. �I wanted to show you all the wood we have cut so far but I didn’t get the picture yesterday and it is raining here this morning. � I’ll save that for another post. �Last nights low was only in the lower 40’s so hopefully we are done with chilly nights. 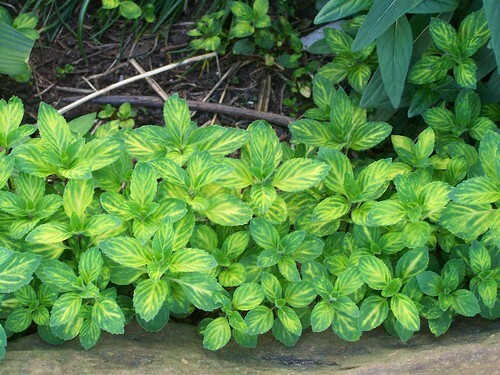 �I have several vegetable plants I want to put out in the garden. �I’ve just been waiting for the danger of frost to pass. �I’m not very good at remembering to cover them up at night so I usually just wait. �School today as usual. �We are getting close to being finished with language. �It is always exciting to finish a book. �I was hoping to do some laundry today, however if I do, I will have to dry them inside. �I might just wait until tomorrow, not sure yet. �The pile is pretty big today, it will be even bigger tomorrow. �I better get started on my day. �Take care and God bless. 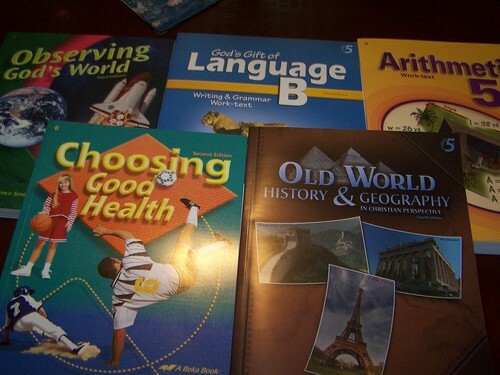 We received our new school books for next year. �This is always an exciting time for us. �We love looking at them to see what the next year will be about. �Of course, about half way through them they will not be near as exciting. �Oh well, enjoy the moment, right. �Temperatures have been rather chilly here. �30 degrees this morning with scattered frost. �Hopefully no damage done. �We spent the weekend at Jessica’s. �Saturday was her baby shower day. �She received many nice things but of course I forgot my camera, so no pictures. �Her mother-in-law got her a really nice bassinet. �She is going to use this upstairs in the bedroom for a while. �Then they will put up his crib. � We also celebrated Hubby’s birthday while we were there. �Hot dogs with all the fixin’s and birthday cake. �We had a great time. �As usual, though, it goes by too quick. �When we came home last night, it was pretty chilly in the house. �We hurried and built a fire. �We still have one going today but I think it is going to warm up nicely. �The sun is shining and it looks beautiful outside. 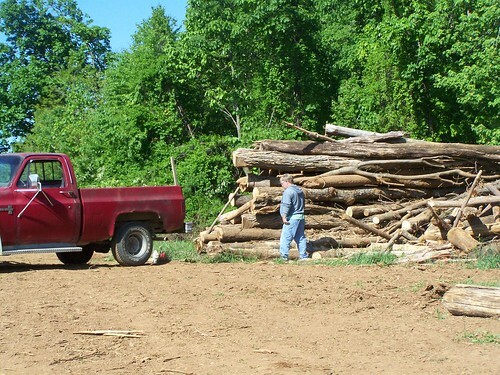 �Hubby and I are going to get another load of wood while the girls stay here and work on school. 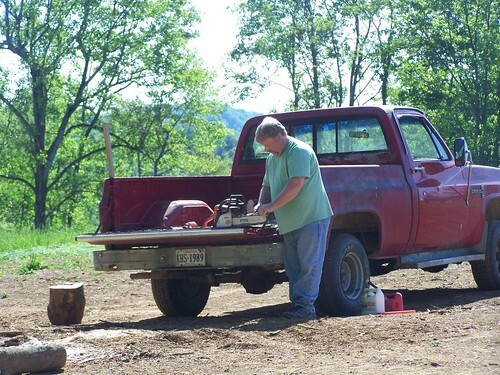 �Dale-a friend from church- is bringing over his wood splitter this evening to let us borrow. �Thank you Dale and thank you Lord for provided us with such good friends. �We are truly blessed. �Enjoy your day and God bless.